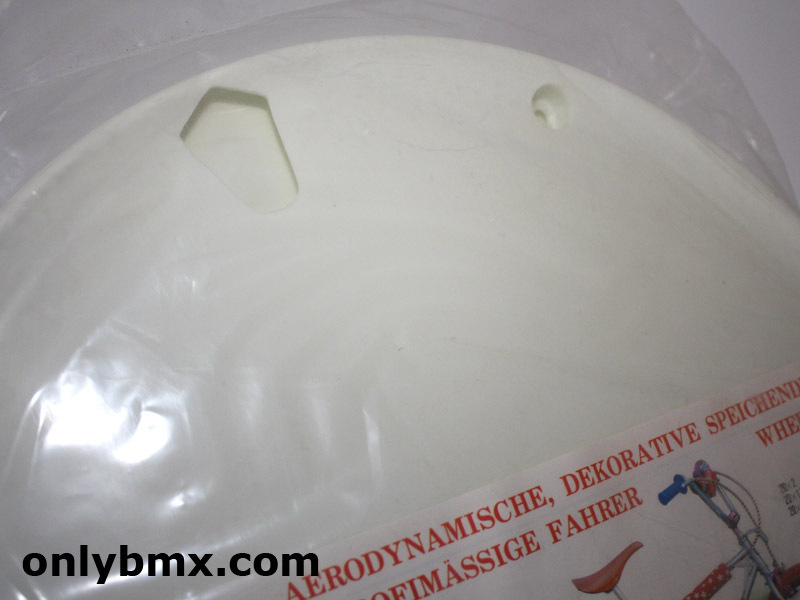 Set of four (one each side of two wheels) 20″ wheel covers. 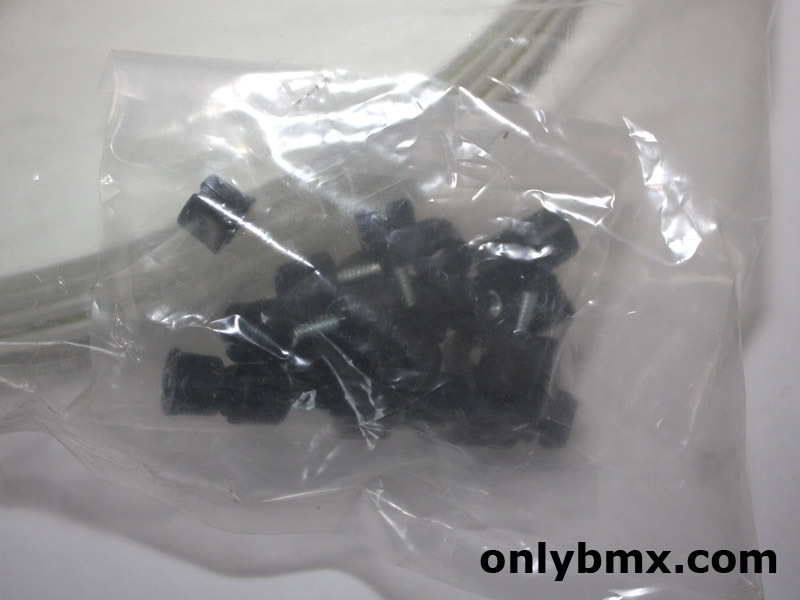 These will fit BMX, Stingray and other 20″ bicycle wheels. Comes with mounting hardware to mount one on each side of the wheel. My plan was to sue these for an Eddie Fiola old school freestyle BMX replica and like with many projects, I changed my mind. 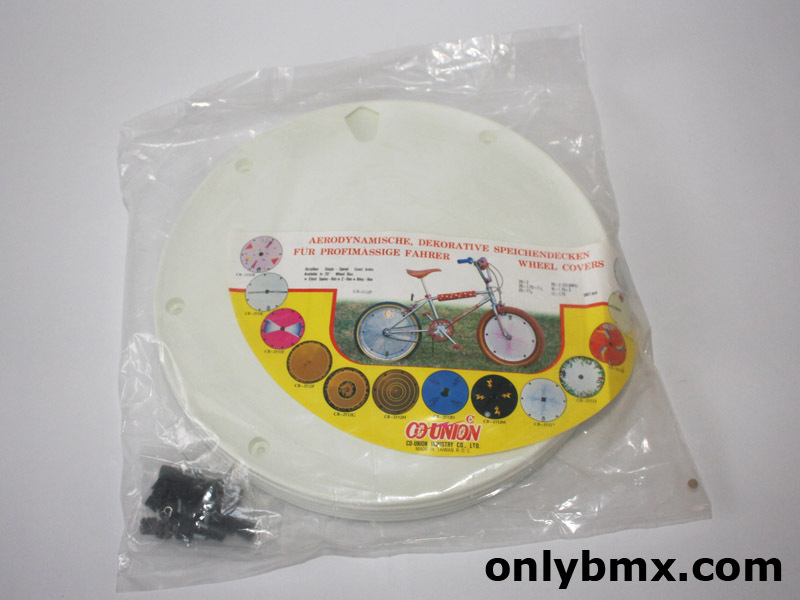 That said, there are not enough wheel covers used on vintage BMX bikes these days! 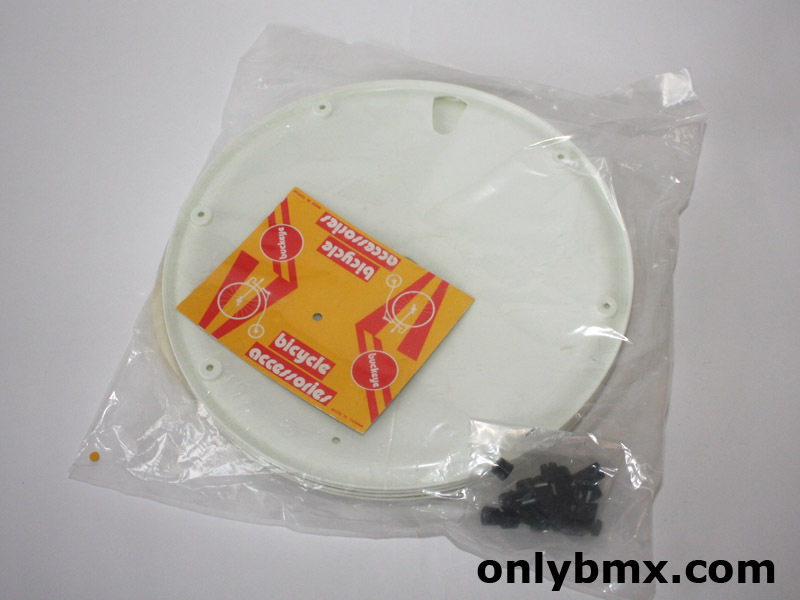 These BMX wheel covers are new in the packet and have never been mounted. 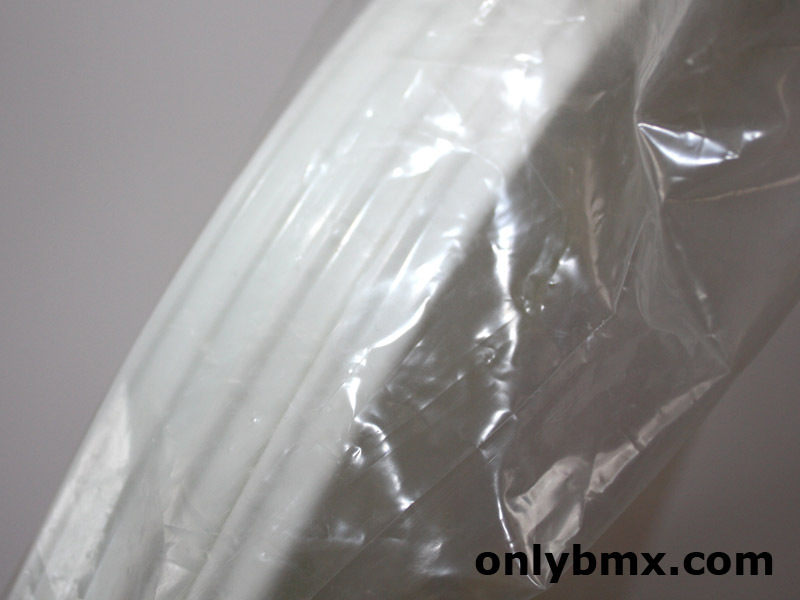 They are plain white so perfect to cover with decals or get out the vinyl cutter and make your own designs.